Well, this week’s YouTube Tuesday picks are about as far from warm and fuzzy as you can get. 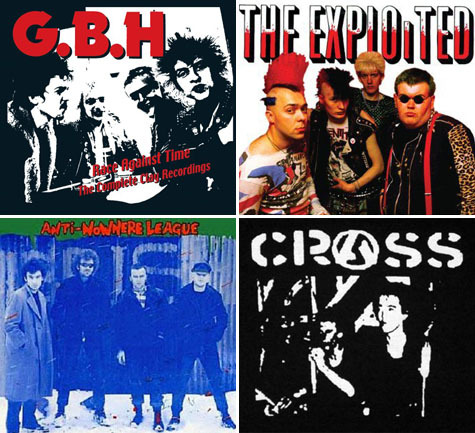 The place: United Kingdom, the time: early 1980’s and the bands: Anti-Nowhere League, The Exploited, Crass and GBH. Get your angst on after the turn as well as a bit of a crass education. EPM “system might have got you but it won’t get me” Out! Thanx Rich, those were some good times back then.